I have found that people ask this based on a couple of reasons. One reason is they see the success of lean at Toyota and they are a non-union company. The other reason is the company they are working in either is a union environment that is fighting the lean implementation or a non-union environment. The answer is absolutely yes lean can work and has worked in union environments. I have worked in several union facilities with different unions. It all comes down to how management approaches lean and how willing the union is to accepting what they are hearing. Of course, how management approaches it can greatly effect how unions might accept it. When I started working for an automotive supplier the facility had just changed leadership. The change was due to the previous leadership doing almost every possible illegal act to prevent a union from coming in to the non-union facility. The facility spent 4 years in litigation before everything was settled and a vote was scheduled to take place. Over that time we had started implementing lean and were having great success. Year over year improvements, increased profitability, and increased morale. When it came time to vote the union was voted down 420 to 4. Quite a resounding number. I believe lean was a part of the reason. We were getting employees engaged and showing they mattered. We didn’t want them “checking their brains at the door.” This was a case of how lean showed the respect for the people so they didn’t feel a need to unionize. When I worked in HVAC, 3 of the 4 facilities were unionized. All three of the unionized facilities were represented by different unions. In one location, the leadership team was going on a benchmark trip to kind of “kickoff” deeper lean implementation. The plant leadership invited the union leadership to come with them on the trip. The facility they were going to benchmark was represented by a union also. During the trip both the plant and union leadership toured the site and saw the work they had been doing. At one point, the plant leadership invited the union leaders from our plant to have a private discussion with their union leaders to understand the benefits, hurdles, and lessons learned from implementing lean in the union environment. It was extremely powerful. It showed the union leaders that the plant leaders didn’t want to influence their decision. By the end of the trip the union leaders were 100% onboard with plant leadership. The union leaders were the ones that communicated to their people about going down the lean path. 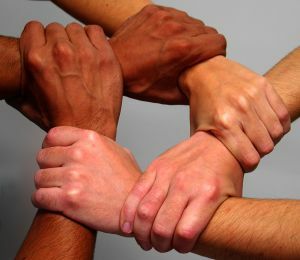 It allowed for a very open and a much easier implementation and relationship with the union. At the same company, another facility had a UAW union representing the workers. The workers had went on strike a few years earlier, so there was still some animosity left over from that time. The plant leadership went in and said this is what we are doing without any discussion of how lean would impact the people and the work with the union. At first, the people resisted. This caused some work not to move as fast and also a confrontation or two. Eventually, the site lean leader did a good job of showing results and bridged the gap between the union and the leadership. There was still an air of mistrust between the union and the plant leadership. One thing both could agree upon was the economy was heading in the tank and they both better try something different to save as many jobs as they could. It isn’t the best way to have a working relationship, but as Dr. House says, “The why doesn’t matter.” Hopefully, the facility has mended those bridges by now. My personal belief is that if you are implementing lean well and truly respecting people than a union won’t be necessary, but if you don’t the union is a way for the people to gain a voice. A few years back I had the pleasure of setting up my first kanban system. At least one that I was consciously setting up, unlike the one I blogged about in the past. Joe Wilson, my recent guest blogger, and I were tasked with developing a kanban system, train 550 people across 3 shifts using a simulation we develop, and implement all within 8 weeks. This was no small task as you can imagine. The facility had 4 main process: injection molding, painting, electroplating, and assembly. The processes were spread out over 450,000 square feet. We also thought the only way anyone would have a chance to retain how to use the kanban system was to have all 550 people touch/participate in the simulation. We designed the simulation using the actual kanban cards that would be used out on the floor so people would be used to seeing them. The simulation also only used 6 people at time. We weren’t dummies. We knew how many sessions that meant and we were going to do it in one week. We decided to train 6 people from HR on the process and the simulation. They knew as much as we did at the time so why not. We went over it with them several times until they understood it. We were the only facility in the company that hit the mandated deadline for this task. Yes. It is one to this day that I am proud of. Now that doesn’t mean the system worked all that smoothly. It did allow us to jump into the learning cycle much faster than everyone else and start making improvements. It was an AMAZING learning experience. Small kanban cards (3×3) on big portable racks didn’t work too well – Our solution was to permanently mount the cards to the racks that were specifically designed for the parts. We scanned the card when full and then when empty. Another possibility is to make the kanban cards big (8×4) so a card can’t be stuck in a pocket easily or is easy to see if missing. Transporting the cards large distances to put in the “Return To Supplier” bin did not work – Taking the cards across the department allowed people to stick them in pockets until they walked over there and also gave them more opportunity to drop cards on their way to the bin. The permanently mounted cards helped with this because we went visually off the empty bins. This forced us to create a visual management system to see them easily. Another solution is have a “Return to Supplier” bin no further than 12 inches from where the card is removed. Start with too much inventory instead of too little – When parts ran out because we sized the kanban too small people wanted to blame the new process and not bad math on our part. In most cases, we sized properly or too large. When someone argued the process was to blame we showed how it was working for the other parts and we just needed to add more kanban cards to the system. The final one was timing of launch – We were an automotive supplier and we went go live with the process in the middle of June. In automotive, almost all manufacturers shutdown for a week around July 4th to retool for the new model lines. The suppliers do to. So we were live for one week and then told everyone to violate the kanban because we had to build a bank of parts for the few customers that didn’t shutdown. Whoops! That was a hard pill to swallow but we did and we put a process in place of using non-replenishment kanbans (my next post will talk more about this) for building a bank of parts. The list could go on forever on what we learned from this experience. These were the highlights that spurred other learnings. In the end, the system worked very well but it took us some time to get there. I hope others can take from out learning and not have to make some of the same mistakes we did. One of the cover stories of the Kansas City Star yesterday was an article about Ford President, Alan Mulally. 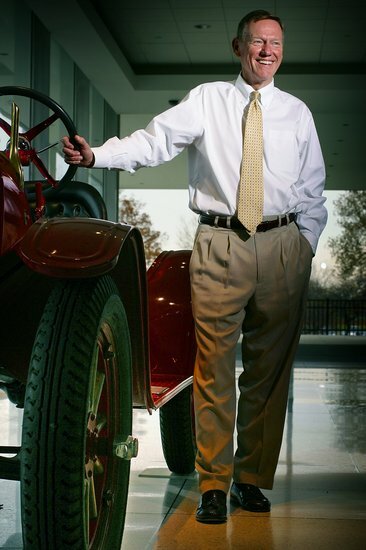 It was a great piece on Mr. Mulally. He is originally from Lawrence, Kansas and grew up dreaming of being an astronaut. The article is more of a feel good piece, highlighting Mr. Mulally’s roots to Kansas City and Lawrence. There is one section that highlights some things he did when arriving at Ford. Scanning the conference room, he noticed team members fiddling with their BlackBerrys during meetings. That practice, and whispering to people next to them, would end. “I think you should listen to the person talking,” he said. This seems like basic respect for people. As much as listening to people seems like common sense and the right thing to do, people just don’t do it. As nice as Blackberries are they can be a curse too at times. He dropped in at dealerships to try his hand at selling Fords — and succeeded with at least two customers. He asked: Why did we stop making the Taurus? (So the Taurus returned.) And why isn’t Ford moving faster to develop smaller, fuel-efficient vehicles? And, excuse me, must you keep saying things are fine when we’re headed for a $17 billion loss? I like how he went to the dealership and tried to sell cars. What a great way to ‘go and see’ what customers are saying about the product. Mr. Mulally also asked the hard questions and didn’t sugar coat things. I have heard the story several times about asking how things could be going well when they were losing money. It was good to see the story directly from him. It is great to see Ford turn down the government money and turning things around. In a time when excuses are easy to come by, Alan Mulally won’t allow it. I hope Ford can keep the turnaround going.